We’ve always been a fan of the work and craftsmanship that Bryan Fuller demonstrates. 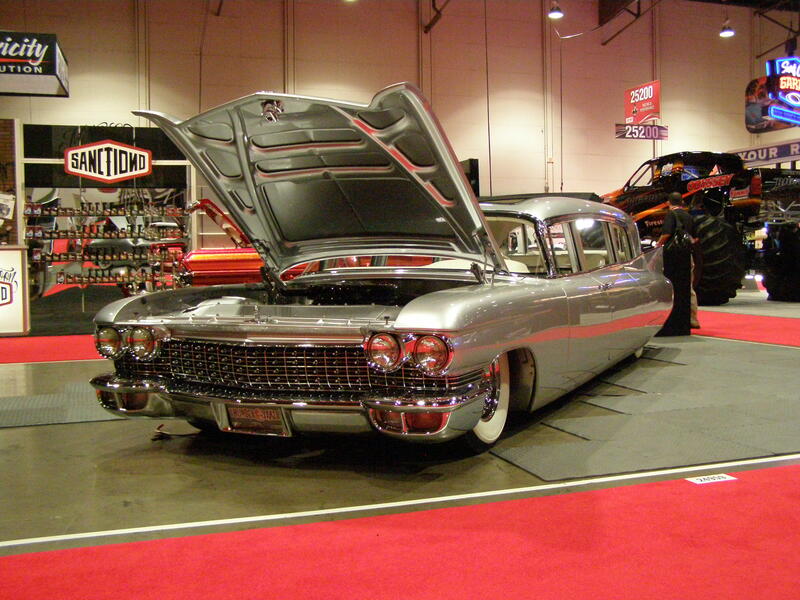 Last year at SEMA (Specialty Equipment Market Association) he dragged out the ultra-long “Thundertaker“. 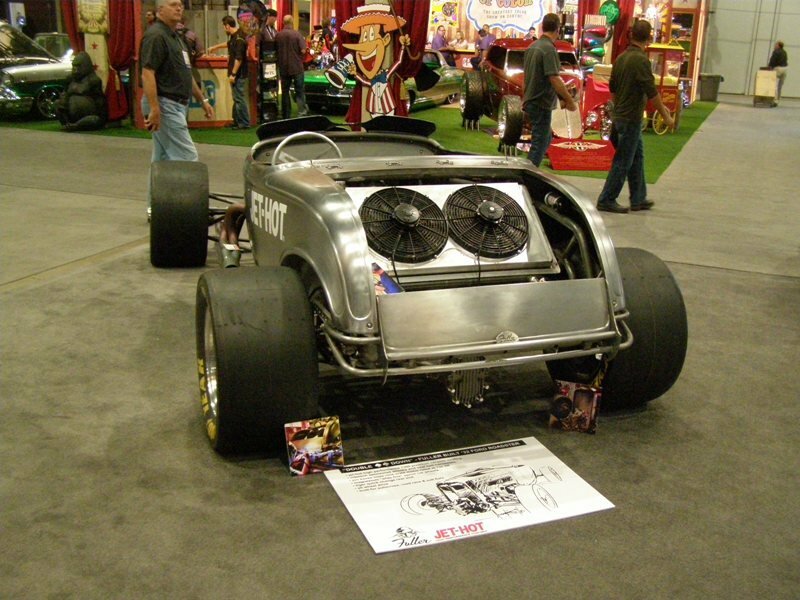 Now this year at SEMA we were once again impressed by his “Double Down Deuce” Ford. 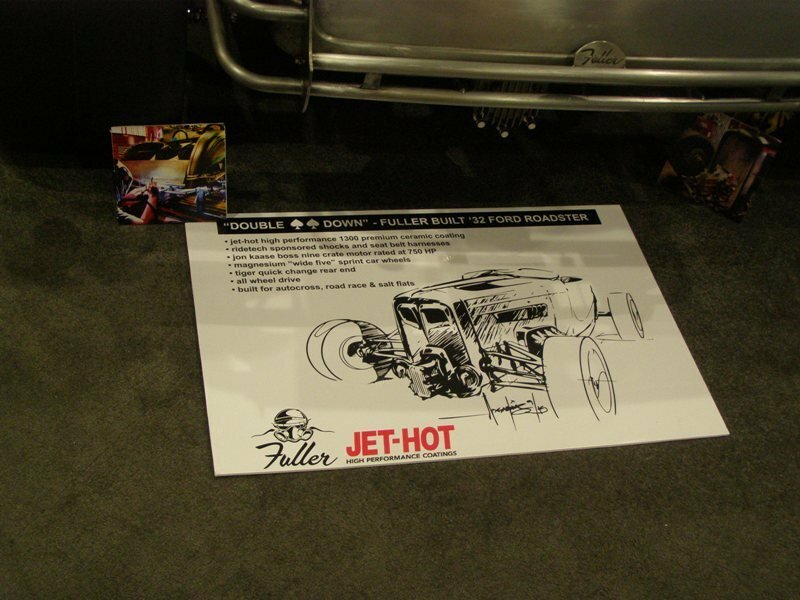 And we weren’t the only ones – Hot Rod Magazine did not just one but two entries on the deuce. 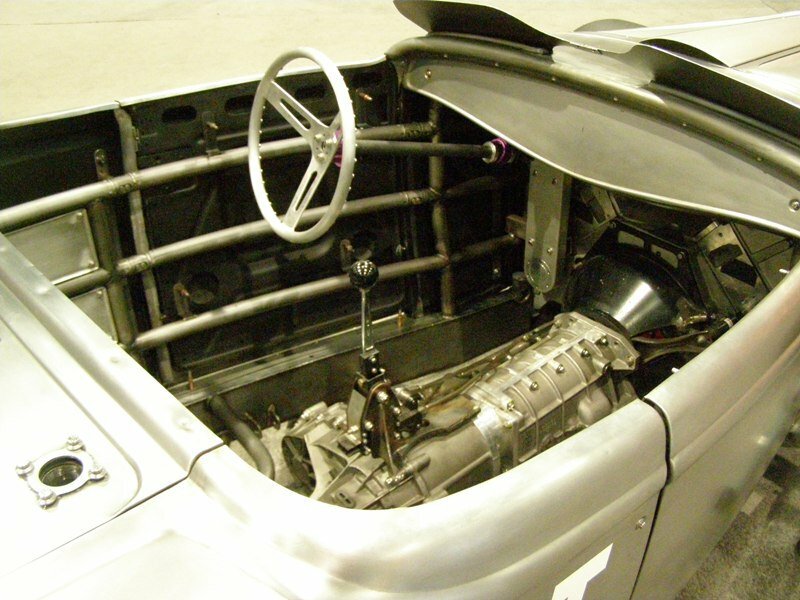 After all when’s the last time you saw a quick change gear set – in the FRONT end?? 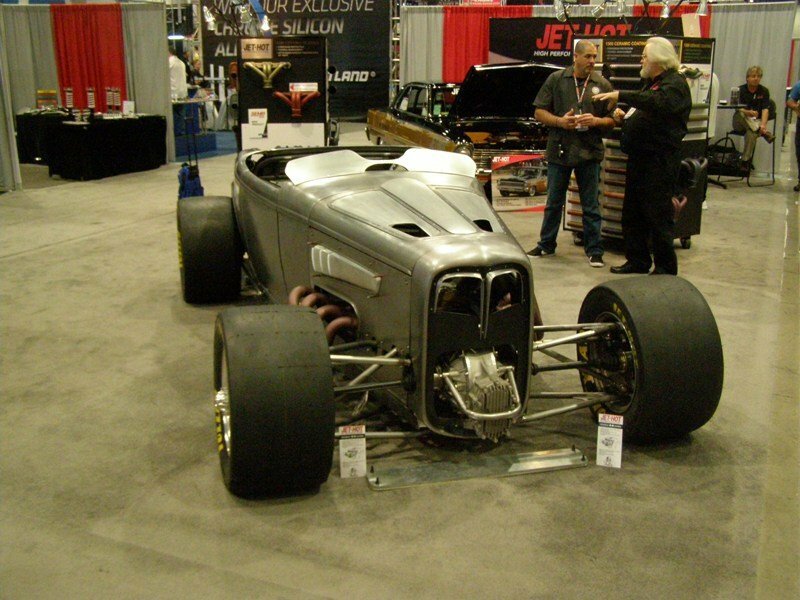 Yep this is an all wheel drive beast! 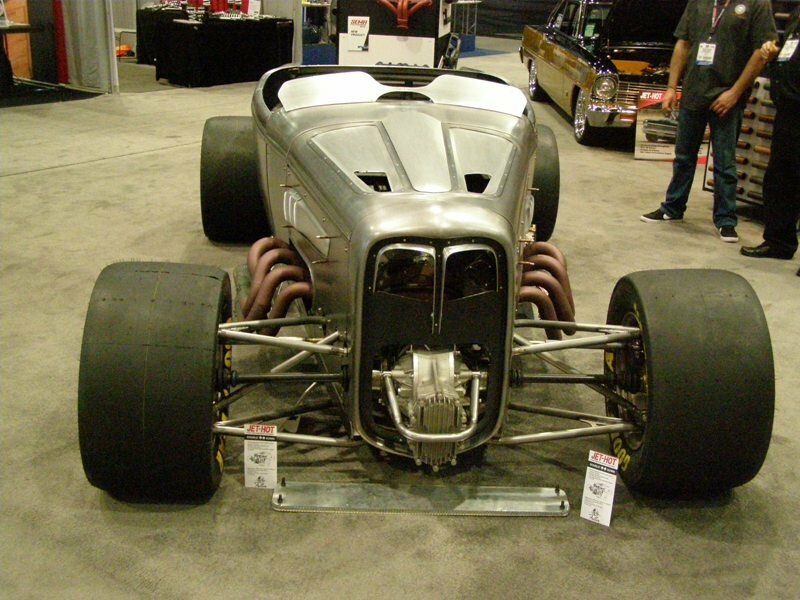 This metal roadster is powered by a Ford Boss 429 producing 600 cubic inches and huge horsepower with a GMC Denali transfer case and a clutchless five speed. 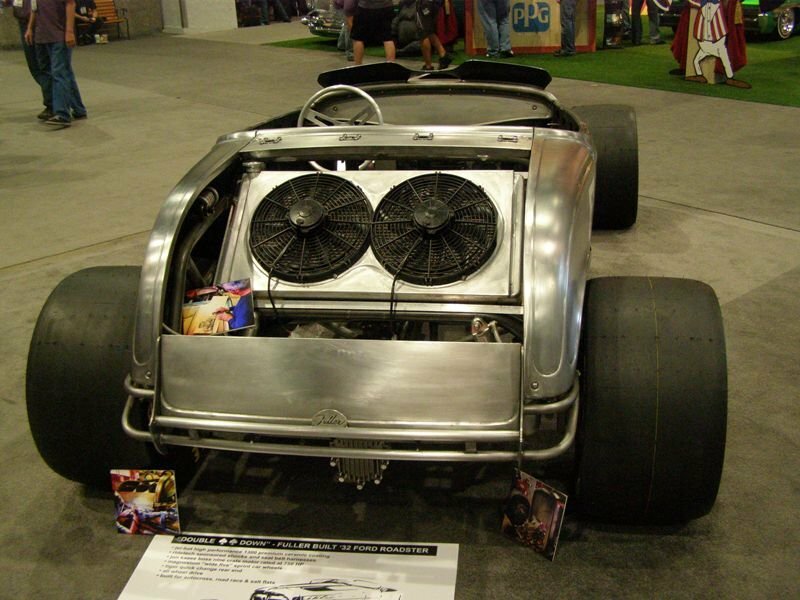 from G Force. 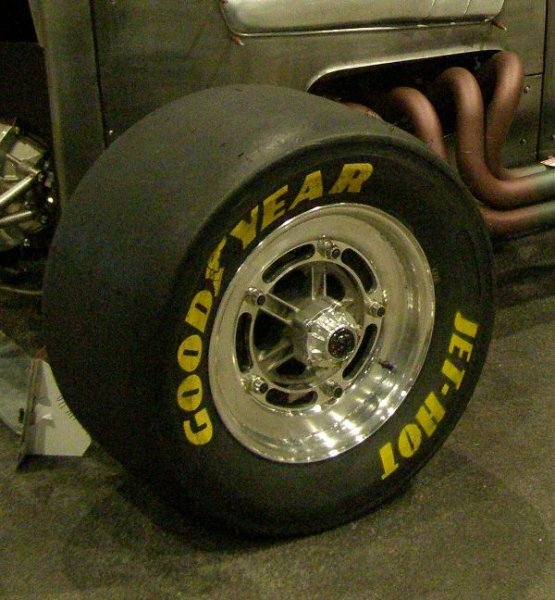 The “Slickest” item might be the Goodyear 28.5—14.50-16 Goodyear Eagle slicks to provide the traction to the asphalt or even the salt flats. 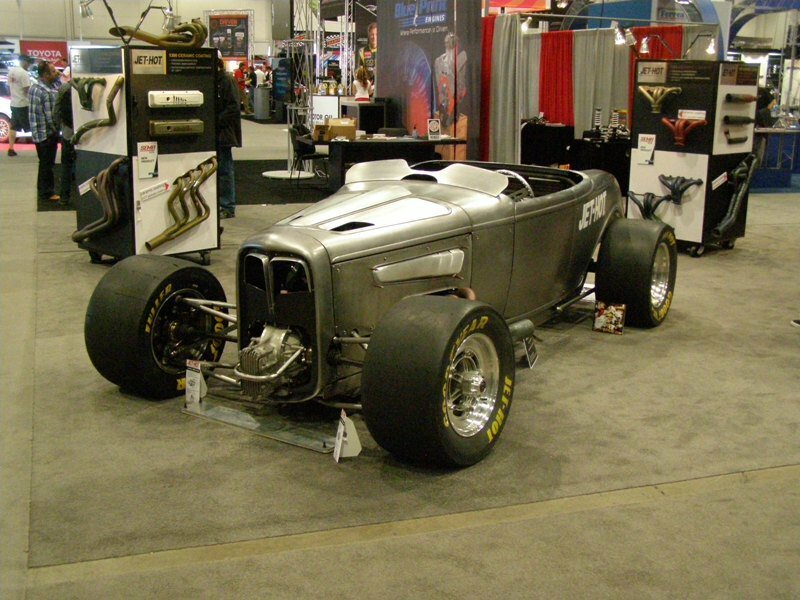 This roadster will be at home on the auto cross, with pro tourers or at Bonneville. 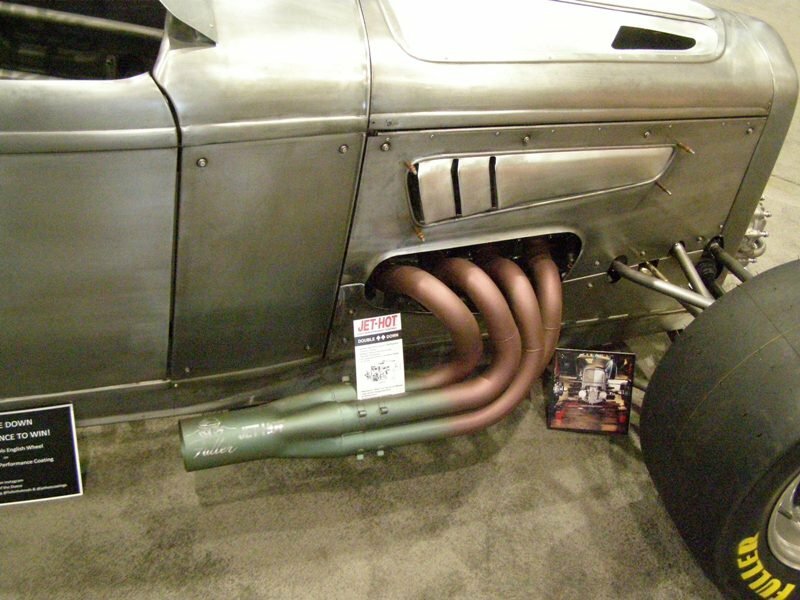 While still “a work in progress” this “Double Down Deuce” in bare metal is still awesome. 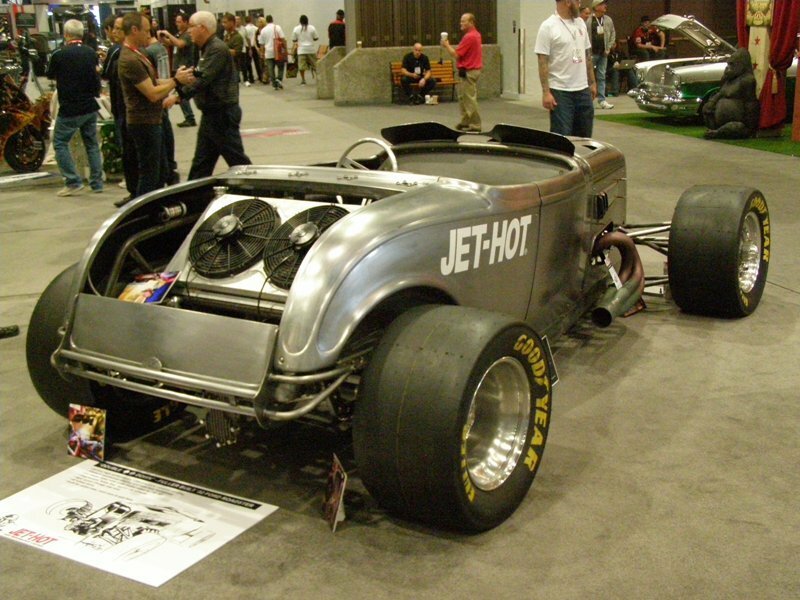 Plus we had the chance to see it again in November at the Jet Hot display at the Goodguy’s Southwest Nationals show in Scottsdale, AZ. Well now I see that Eastwood has a 2 minute video on this sleek machine.Â Enjoy the views.